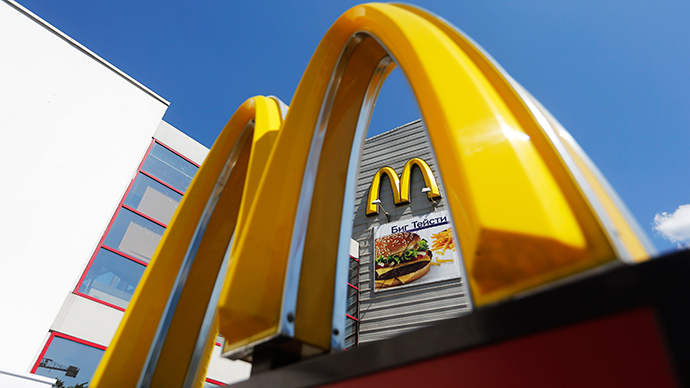 Russia’s consumer watchdog Rosselkhoznadzor has opened an investigation into the quality of food products used at McDonald’s, in addition to a lawsuit that could ban some signature products from the Russian market, curtailing operations. Consumer protection agency Rospotrebnadzor said it had brought the case after inspections of two of the company’s restaurants in the city of Novgorod. The agency will be checking if pre-sliced cheese often contain traces of antibiotics and other questionable ingredients. Under scrutiny are cheeseburgers, the Filet-O-Fish, chicken burgers, shakes, and ice cream products. 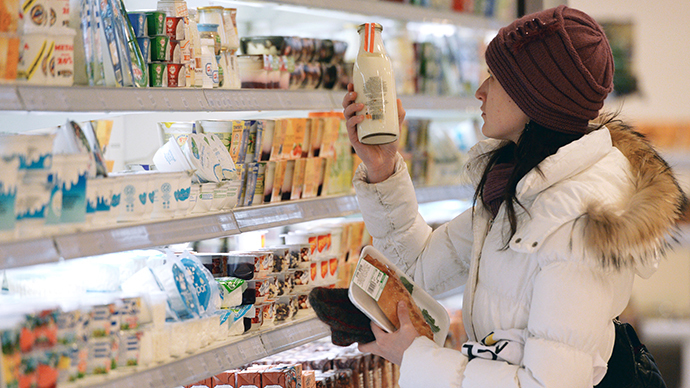 The quality check is focused on cheese imported from Germany and the Czech Republic. The authorities say they don’t plan to ban the franchise, but that certain items may be removed from Russian menus. "Rosselkhoznadzor will strengthen content monitoring for residual amounts of tetracycline antibiotics in cheese imported to Russia, including the production of cheese suppliers to McDonald’s,” the head of the regulator, Sergey Dankvert, said, as reported by ITAR-ITASS. Natamycin, one of the substances in question, is a polyene macrolide antibiotic that keeps packaged products from growing mold and yeast, and is common in pre-sliced and shredded cheeses. The US Federal Department of Agricultural allows the addition of antibiotics to these products for this reason. Natural products do not contain antibiotics, only those made in mass production factories. McDonald’s imports the majority of its cheese from Germany and the Czech Republic. When McDonald’s first opened in Russia, it imported most of its raw ingredients from abroad, but now more than 75 percent is sourced locally from Russian suppliers. McDonald’s responded to the accusation on its Russian website, and said it hadn’t received any formal complaints, and that calories are calculated using a system that is approved by the Russian state health institution. In April, the company faced both economic and political trouble. Three restaurants in Crimea were closed and then later replaced with Burger King and Rusburger, a small Russian-based fast food chain, which presents itself as ‘anti-McDonald’s’, serving juice instead of soda and claims to source all meat locally. As an emerging BRICS nation, Russia is among McDonald’s top seven global markets. 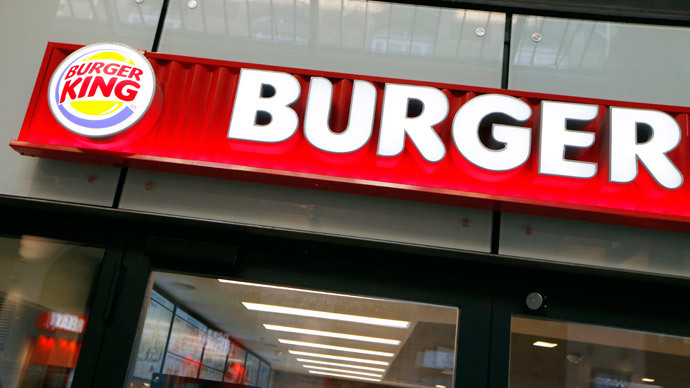 Demand for fast food in Russia is continually on the up, as the company plans to continue expanding to over 100 cities in Siberia and the Far East. The American fast food restaurant has been active in Russia for over 25 years, and now has more than 400 restaurant locations in Russia. Several American chains operate in Russia- from KFC and TGI Friday’s to Krispy Kreme Donuts and Starbucks Coffee. 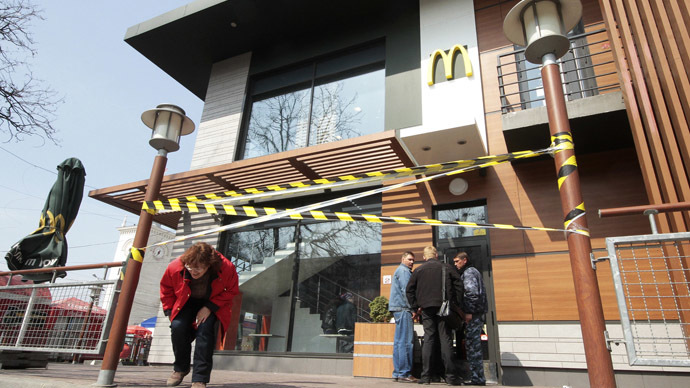 McDonalds is also suffering problems in China, and has pulled all pork, beef and chicken items from its menu. 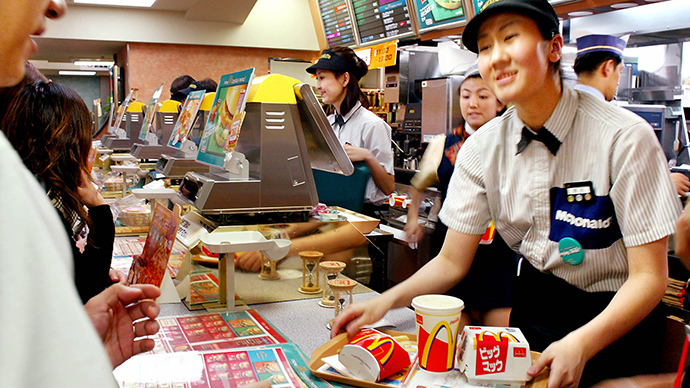 Delivery dispatchers for McDonalds in Beijing and Shanghai confirmed that fish burgers are the only sandwiches available in the company’s fast food outlets, although there is a plentiful supply of fries and drinks. The scare was prompted by a recall by meat supplier, the OSI Group LLC, which is accused of repackaging old meat as new. McDonalds has also suffered criticism in France, mainly opposition to their fast-growing food outlets from local residents and officials in a country that prides itself on the quality of its cuisine.